Making the big decision to sell your home comes with many considerations and a long to-do list. Finding a realtor, having it appraised, listing it, waiting for offers. All of this while, in many cases, you’re shopping around and deciding where you’re going to live next. This process can be long and somewhat overwhelming. Unfortunately, the list only seems to grow as the financial preparation behind it is also something that needs to be taken into consideration. We have gathered a few easy steps you can take in order to prepare financially when selling your home. Whether a real estate agent will get you more money for your house depends on who you ask. 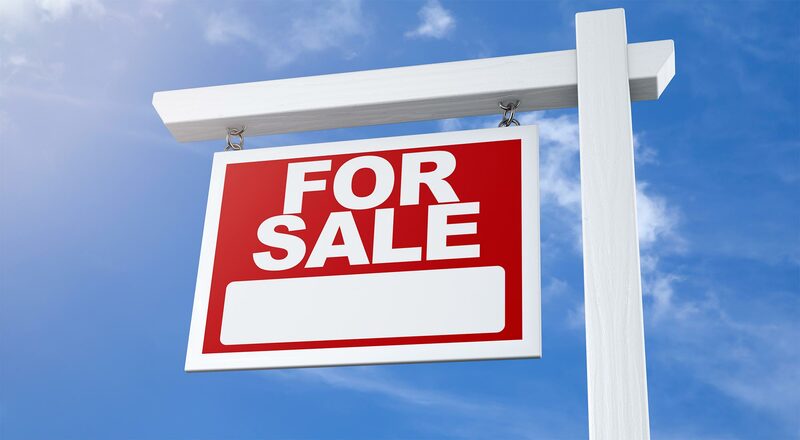 The latest National Association of Realtors claims that the average home sold by an agent last year brought in $249,000 In contrast, the average FSBO (for sale by owner) home went for $190,000. That would be a $60,000 difference. Keep in mind, though, that those estimates are made by the trade association for realtors, not an entirely disinterested party. When getting ready to sell your house, be prepared for realtor fees. Just remember that no matter what these fees are, you are paying for access to the real estate agent’s network and for their time in marketing your home. If you would rather not pay that, you can always list the home yourself, but do prepare to spend a potentially greater amount of your own time to sell your home. When selling your house, something else to prepare for is having your house appraised by a professional. Because most people are attached to their home and have a sentimental value on it, it’s hard for sellers to be objective, so many times it’s recommended to have the property appraised by a realtor who will give you a reasonable amount depending on the house value, history and the area where it’s located. Personal finance journalist Dave Ramsey explains on his website that the best way to get an appraisal is knowing the market value, taking advantage of technology for appraisal tools and working with a professional. “A good real estate agent will take the time to come and look at your home. They’ll consider the landscaping, the condition of the house, any upgrades you’ve added and all those things that aren’t listed in public records but make a real difference to potential home buyers,” he explains. There is no rule stating that you have to have a pre-sale inspection when selling your house, but it is definitely a good idea if you want to get the best, and fairest price for it. At the end of the day, no matter how familiar you are with your own home, there could always be things a professional will notice that you won’t, and having an assessment will help you budget for what needs to be repaired immediately (mold or radon is more than just an inconvenience … they’re a safety issue!) and what can wait. Financially speaking, a pre-home inspection could cost around $200. Here are a few of the things the home inspector will look for. Deep cleaning is a must, but nobody said this was easy! If you want all your floors and surfaces shining like the top of the Chrysler building, consider hiring a professional cleaning agency. Now remember, after the first deep clean, it’s your job to keep the house spotless during showings. A fresh coat of paint will truly make a difference. Even though you can do this yourself, you might to save your time and some cash by having someone do it for you. Rugs are carpets definitely make a big difference if they’ve been deep cleaned. Consider paying a professional for this task. You’ll be thankful later. Make sure lighting is working in your favor, so you might want to consider investing in new lamps! Following these steps might seem like big time and money investment. However, keep in mind that taking your time and doing things right will help you sell your house faster and get what you actually deserve. LendingPoint is a personal loan provider specializing in NearPrime consumers. Typically, NearPrime consumers are people with credit scores in the 600s. If this is you, we’d love to talk to you about how we might be able to help you meet your financial goals. We offer loans from $2,000 to $25,000, all with fixed payments and simple interest.